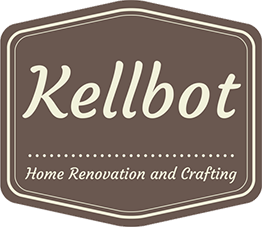 Keeping Your Startup Organized - Kellbot! | Kellbot! In the few days since my post on finding a co-founder I have, to my surprise, found a co-founder! It’s funny how things work out like that. My co-founder, Katherine, has actually been a friend of mine for a while. So unfortunately I don’t have any sage advice for those still on the hunt for a partner in crime business. Or maybe I do: talk to buy cialis viagra everyone you know about your business idea. If it’s any good, someone is bound to get excited by it. The next step is figuring out how we stay organized. We have a lot to do: apply to various startup incubators, put together something resembling a business plan (or at least an outline of what we’re doing), sit down with a lawyer and become a real business, etc. Oh, and build the prototype. Actually the prototype is built, but it’s kind of hideous, so it needs work. What do other startups use to stay organized? At Etsy we used Trac, which is decent software but has a somewhat miserable UI. It’s powerful, but the amount of work I’d have to put in to get it to do what I want is more than I can handle right now. We’re already using Google Docs and Google Calendar, but I can’t find anything that ties those together with a nice project management interface. We need to keep track of who is working on what incubator app, what still needs to be done for the incorporation, etc etc. I feel like just about everyone has this problem these days, so I’m interested in hearing everyone else’s solutions. I’m fond of using FogBugz for task management stuff, provided your venture is small enough. It was designed for programming teams, and it doesn’t have the greatest handle on deadlines or time management, but it’s great for organizing tasks and assigning them to specific people. I have been happily using Redmine ( http://www.redmine.org/ ) after looking at quite a number of competing solutions. It has very nice issue tracking and calendar systems. The UI is spartan but definitely friendlier than Trac. Isn’t that what Google Wave is supposed to do? For a small startup, a WiKi is usually all you need.